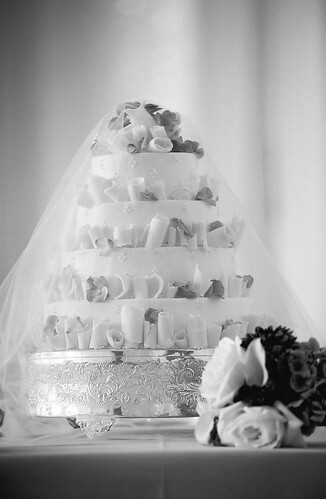 I got a lot of great feedback from my post on Wednesday showcasing mine and Morgan’s wedding cake (both on our wedding day and then one year later) – thanks so much for the kind words! 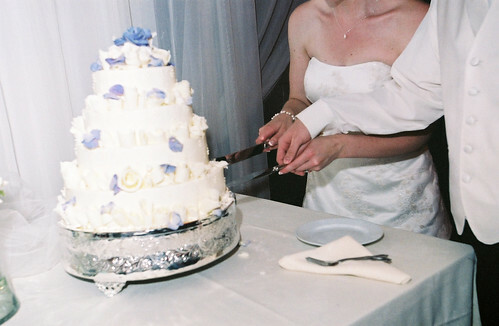 In keeping with the wedding and memories mood I have going on this week, I thought I’d take the opportunity to post about how to store the top of your wedding cake so that you can enjoy it the next year. I’m sure there are a few different ways you can do it, but I’m going to share what worked for us. Our cake was not covered in fondant (I just can’t get in to chewy taste of it), but I’d imagine that fondant would only serve as another protective layer. 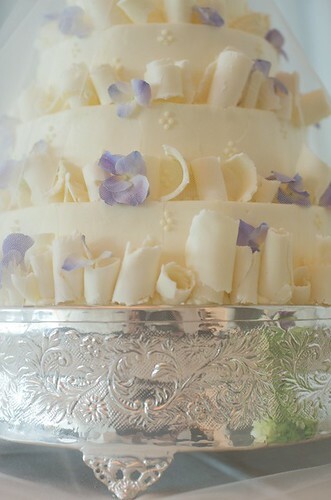 When you’ve got the top of your cake back home, transfer it to either a piece of flat plastic used for tiered cakes, or a cardboard cake round that has been wrapped in plastic before putting the cake on top (so the cardboard doesn’t absorb anything or give off cardboard taste!). Place the cake top, uncovered, in the freezer for about 20 minutes to firm it up. Remove it from the freezer, and wrap it, cardboard or plastic round and all, tightly with lots of plastic wrap – no skimping! 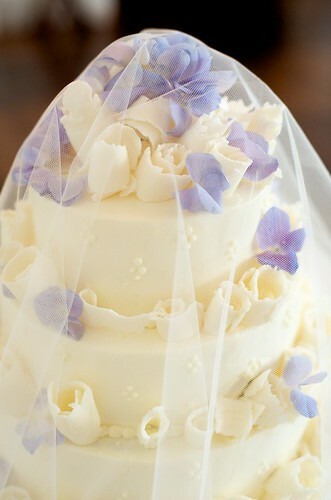 When done, place it safely in the freezer and leave it alone for a year! 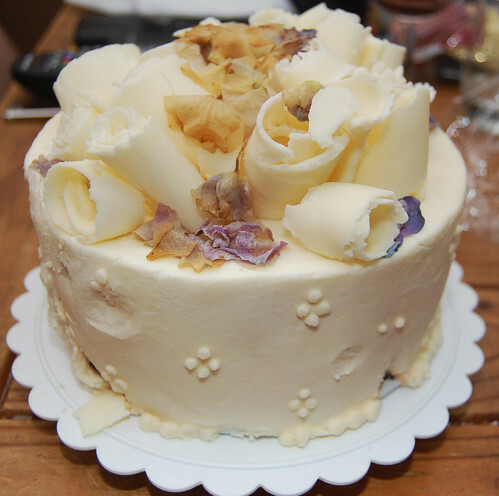 To enjoy, move the cake from the freezer to the fridge 1-2 days before your anniversary. A few hours before serving, remove the plastic wrap and set it back in the fridge. 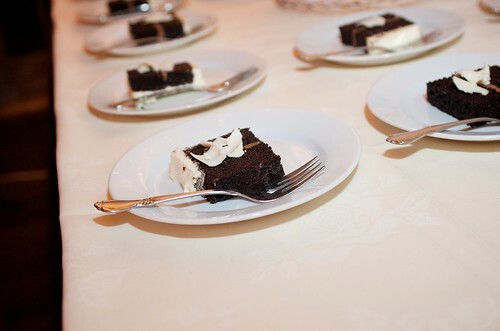 Then right before serving, allow cake to reach room temperature before digging in by setting it out on the counter. I’m a little torn when it comes to the summer months. One one hand, I love the weather, the warmth (HATE the cold) and all you can do in the great outdoors. On the other hand there’s the, lets call it cooking restrictions. Maybe restrictions isn’t the right word, but basically the discouragement of cooking with a lot of heat. A couple boiling pots and some roasting in the oven can kick summer heat into overdrive. So we turn to salads and this is one is quite tasty. It’s a bit different from your usual, being not so heavy on the greens and having no vinegar whatsoever. But its simplicity and uniqueness really make it stand out. Any apple will do and if you don’t have agave nectar, start at one tablespoon of sugar and work your way up to a taste that hits the spot for you. 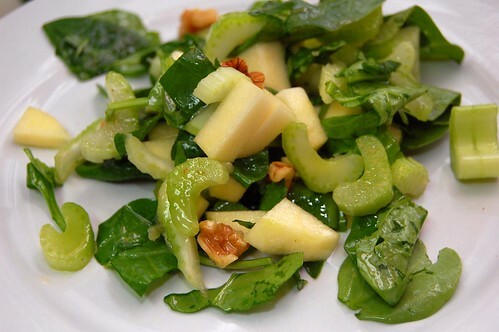 Combine all your solids (apple, celery, spinach, walnuts) into a bowl and mix. Combine your remaining ingredients separately and pour over your salad. Toss to coat and enjoy. More faux meat madness! Am I a one-trick pony? Perhaps. It has been a while since I made stir-fry and I was jonesin’. Traditionally I go for the savory and salty over the sweet but I decided to mix it up this time. 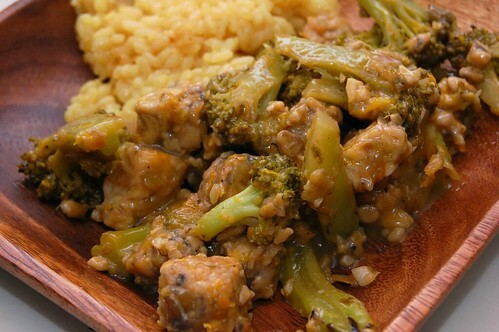 One convenient thing (or arguably, bad thing) about tempeh is there’s no need to marinate because it won’t really accomplish anything. This dish is loosely based off a recipe in a book a friend of mine gave me a few years back. It calls for some less common items like Kaffir lemon leaves which I’m sure are great, but a little too rare and exotic for me. We like quality food here but hunting high and low for an ingredient I’ll never use again before it goes bad just seems like a waste of time, money and sanity. So some DC-style modifications were in order. What do you think? Steam your broccoli for 4 minutes and immediately dunk in cold water to stop the cooking process. Towel dry. Heat your wok, add two tablespoons oil and (carefully!) swirl around. 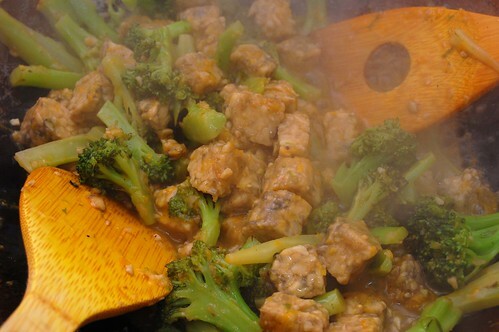 Add your broccoli and stir fry for 1 minutes. 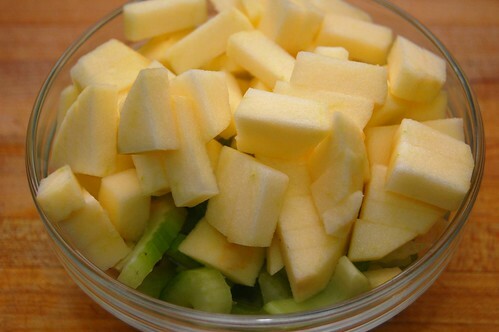 Add your garlic and ginger and cook for another 30 seconds; tossing continually to prevent burning. Add all your remaining ingredients and toss to coat. 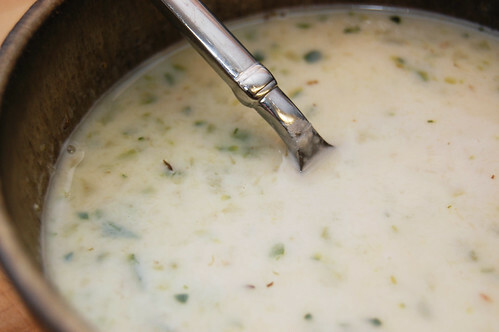 Continue to cook until liquid reduced to a thick sauce (five minutes, tops). Remove from heat and serve. Enjoy. Today we’ll be having a different kind of culinary adventure – how about an adventure for people who are moving in under a week, have packed up pretty much all of their belongings, whose lower back and legs are killing them from packing and cleaning things up and who are left with a lot items that might not naturally go together? 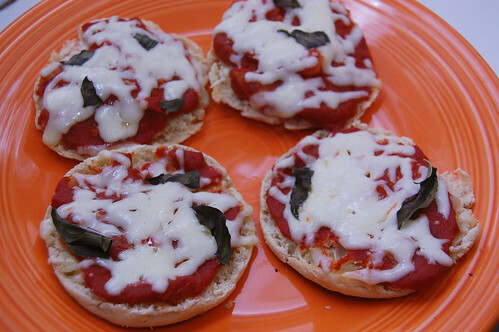 So today I bring you english muffin pizzas! They’re not the fanciest or most sophisticated dinner or lunch, but you shouldn’t knock them until you try them. It’s summer, and they’re light, easy and really tasty. You know how there’s always that person in the group who can’t have cheese? Or someone doesn’t like meat? Another person doesn’t like a lot of sauce on their pizza? 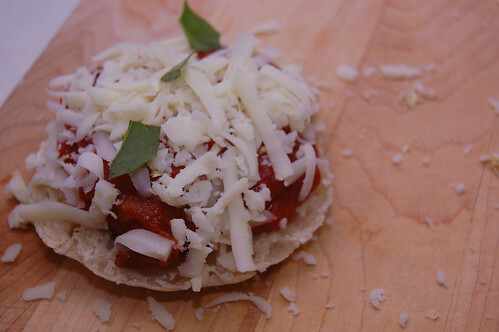 Remarkably, everyone can get exactly what they want with english muffin pizzas. Set up an assembly line of ingredients for kids and/or adults and have everyone decorate their own – there’s no messy, sticky pizza dough to roll out, and there’s no grease like with take out. Make as many or as few as you like. Preheat oven to 350F. Toast english muffins first by themselves for a crispier crust. Add ingredients above as desired and add to a baking sheet. 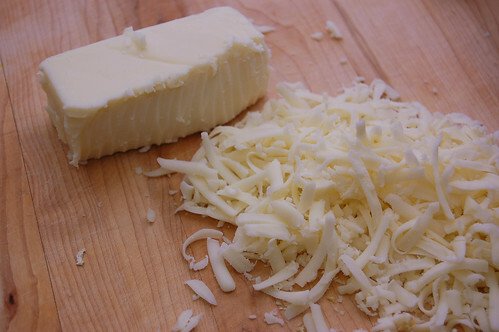 Cook until mozzarella melts. 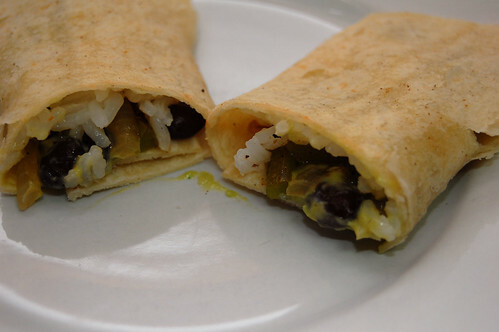 As a flexitarian, a significant portion of my diet is composed of beans which are a great source of protein. I prefer dried beans over canned because, not only are they “fresher” (in a sense that less is done to them before you get them), they are significantly cheaper. The problem with dried beans is the need to soak them. Just about every bean needs to be pre-soaked before cooking; usually overnight. That requires you to plan ahead, which doesn’t always happen. My trick to avoiding this complication is a magical little device called a pressure cooker. I have to admit, when I first received this as a gift from my sister, I was quite unimpressed. “What am I going to do with this thing?” Answer: speed soaking beans. Stick in some beans, some water, cook for the appropriate time, viola! Good to go in less than an hour. Pressure cookers are not a new invention. In fact, they’ve been around for quite some time with a bit a bad reputation. Old pressure cookers use to be quite messy but more importantly dangerous with the risk of exploding. Not today. Of course, anything under incredibly high pressure is in risk of exploding, but advances in technology and design has made this virtually impossible. If you decide to buy a pressure cooker, I strongly recommend a stove-less version. Much more convenient. To top it off, pressure cookers are great for many other things, such as canning and general quick cooking. Check it out. It can be a worthy investment. Ahhh, summer. Home of hot weather and cold treats. When I was in Europe last year I spent a few days in Rome taking in the sites and the cuisine. One of the highlights was the gelato. You can’t throw a rock without hitting a gelato stand there and I definitely took advantage; often partaking several times a day. Soooo good. Recently, a gelato stand by the name of Pitango opened in the Reston Town Center; a walk from where I work. 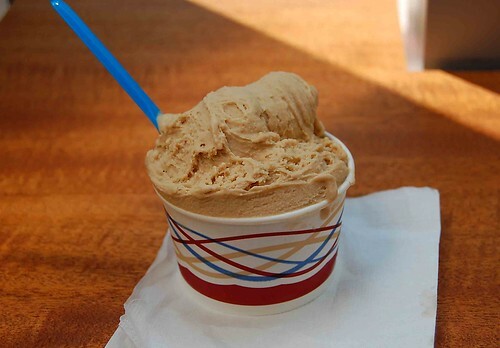 I sampled a small cup of their hazelnut flavor this week and I have to say it was amazing. Creamy but not heavy, cool but not brain-freezing cold, and the hazelnut flavor was so simple and yet so delicious (as a child of a German mother, I can tell you I know my hazelnut). I fear I may fall into a familiar multi-visit patter as I did in Rome. Edwin says he loves veggies, but I don’t think he cares for mushrooms very much. This is sort of crazy, right? What kind of flexitarian can’t appreciate some quality mushrooms? It’s true, mushrooms are a fungus. They have no roots, leaves, flowers or seeds, and the thought of eating fungus is more than a little disturbing. But if you can put all that aside, they’re really a pretty neat food that can add great flavor to your meals. You might have guessed, they’re good for you! They can also be a little dangerous, as they’re sometimes confused with young specimens of the deadly poisonous destroying angel mushroom (destroying angel – what an amazing name!). 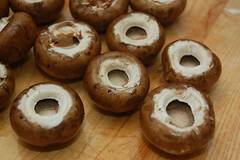 Store loose button mushrooms in the refrigerator either in a loosely closed paper bag, wrapped in a damp cloth or laid out in a glass dish covered with a moist cloth. 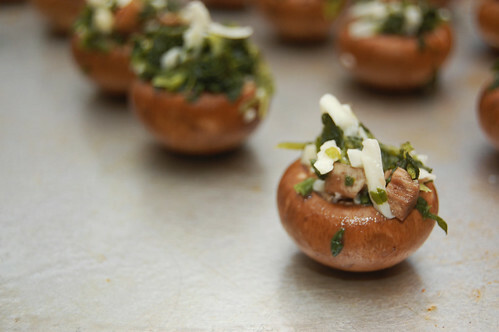 Store prepackaged mushrooms in the refrigerator for up to one week in their original container. 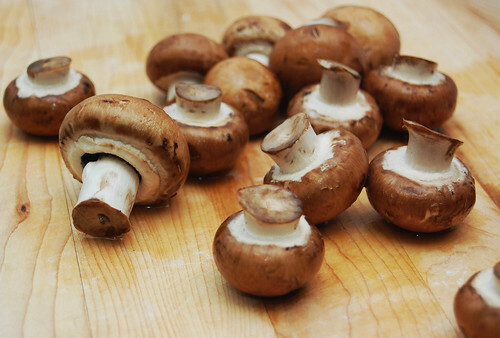 Clean them using minimal water – wipe them with a slightly damp paper towel or kitchen cloth, as mushrooms are very porous and may absorb water during cleaning and become soggy. 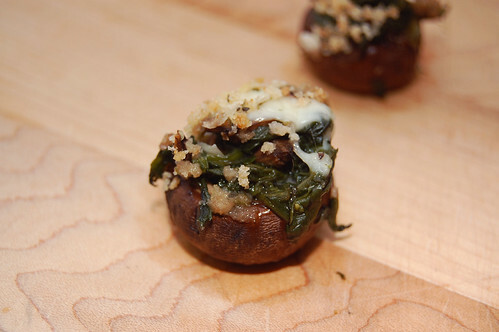 I made these for lunch recently one weekend for my husband Morgan and I, and we really enjoyed them. 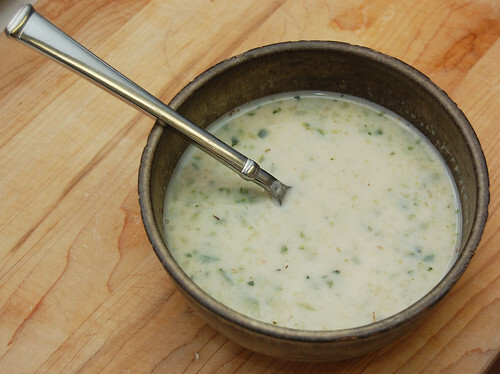 This is a fairly mild recipe – no strong, spotlight stealing spices or pungent cheeses. If you’d like more kick to yours, try sprinkling a little more cayenne over the top, or using a salty cheese like Pecorino Romano. Preheat oven to 350F. 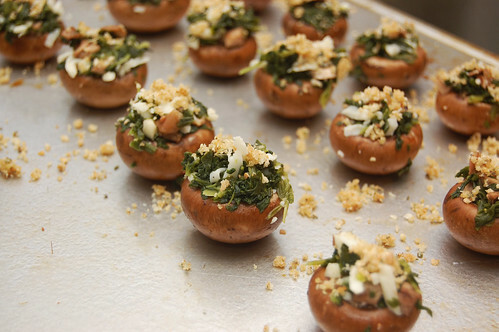 Wipe away any dirt on the mushrooms with a damp paper towel. Pop off the stems by hand (they come out much easier than if you try cutting) and dice stems. 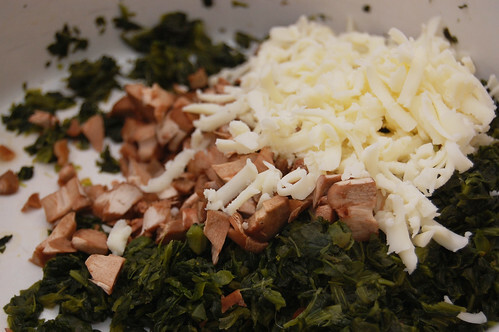 Combine cooked spinach, diced mushroom stems, garlic and cheese (leaving out just a little bit of cheese) in a medium bowl. Using a small spoon, stuff mushrooms caps carefully so that they do not break. 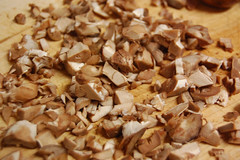 Combine bread crumbs, salt, pepper, 2 or 3 taps of cayenne and a small glug of extra virgin olive oil in a small bowl. Bring together with a fork. Sprinkle caps with remaining cheese and bread crumb mixture. Cook for 20 minutes; serve immediately. I never ate much Mexican as a kid. In fact, I hated mexican for quite some time. These days, I’m quite fond of the stuff; though I admit not all of it being authentic (I draw the line at Taco Bell, however. That stuff isn’t even food). A friend of mine held his wedding in Mexico a few years back and I was fortunate enough to attend. Excellent food; not only at the reception but at this excellent taco stand where we met one of the coolest vendors I’ve ever met. I had never eaten cactus before, but that was some good stuff. So now I dabble with the style every now and then, admitting whole-heartedly that my German/Italian heritage gives me no special skills. But hey, I can pump out a few easy tasty Americanized treats. And when I’ve been snacking all day? Good to go with minis. 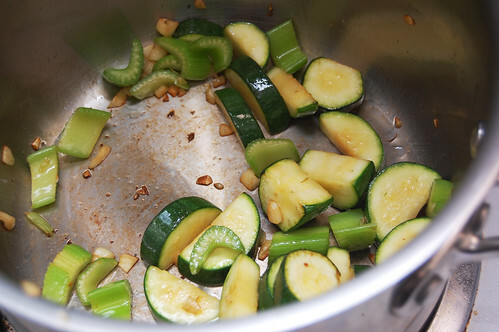 Saute your onion and green pepper in oil for 10 minutes with a pinch of salt then move to a separate bowl. Heat your pan to medium low and heat your tortillas one at a time for 10-20 seconds. Add a bit more oil if you need. 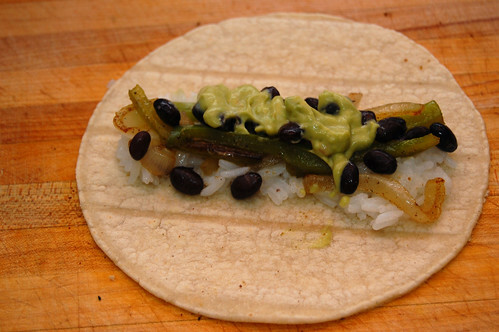 Add rice, onion and peppers, black beans and guacamole on a thin strip. Roll and enjoy.